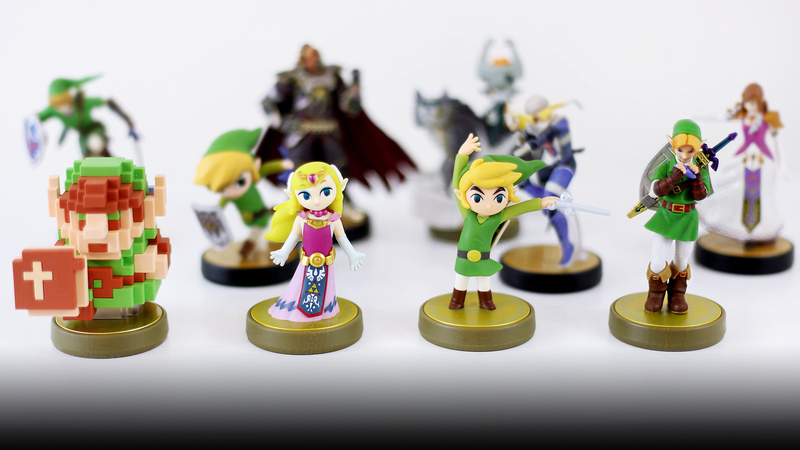 Daily Debate: Which Is Your Favorite Zelda Amiibo? From their inception, amiibo have always been a little odd. Starting off as an idea based off toys and action figures of the 70’s, 80’s, and 90’s, Nintendo expanded upon this idea and decided to create collectable figures that could also be used in their games. While the uses of these amiibo have remained small so far, there is no denying some of the production value behind them. Whether it’s the massive Guardian or Link astride Epona, Zelda amiibo have only gotten better over the past few years. Fortunately, recent Zelda titles such as Twilight Princess HD and Breath of the Wild also happen to have some uses for these figures. Utilizing the Midna and Wolf Link amiibo allows you not only to access an expanded Cave of Trials in Twilight Princess HD, but also allows you to have a Wolf Link companion in Breath of the Wild. One of the cooler features of this includes Wolf Link’s health being increased in Breath of the Wild the further you’ve delved into the Cave of Trials in Twilight Princess HD. Or, if you’re more into getting free goodies, you can always use amiibo such as Ocarina of Time Link to get Epona! So which is your favorite Zelda amiibo? Is it because of its usefulness in a particular game? Or maybe it’s because they look really awesome on your desk? Let us know in the comments below!